One of the dangerous and false narratives pushed by both Democrat politicians like President Barack Obama and their allies in the mainstream media is that the Black Lives Matter movement has nothing to do with the spate of violence against police, with eight officers killed between Dallas and Baton Rouge. They have been able to perpetrate this myth in part because Black Lives Matter is largely a “leaderless movement,” much like radical leftist groups Occupy Wall Street and the Earth Liberation Front or the newest generation of Islamist terrorism from groups like the Islamic State. These new leaderless groups promote an ideology of violence that inspires so-called “lone wolf” terrorism, unlike the top-down control of cell-style terrorism that we saw in the al-Qaeda attack on America on 9/11. This allows the groups themselves to simultaneously take credit for an attack or distance themselves from it, as the media narrative requires. The similarity between all these groups is that they clearly are pushing an ideology that promotes violence. While the mainstream media and Democrat narrative is that the shootings are by fringe people not connected to the movement, as Breitbart News has written repeatedly the very founders of Black Lives Matter pay homage to a convicted cop killer who is currently living in exile in Cuba and wanted by the FBI: the so-called Queen of the Black Liberation Army” JoAnn Chesimard, a.k.a. 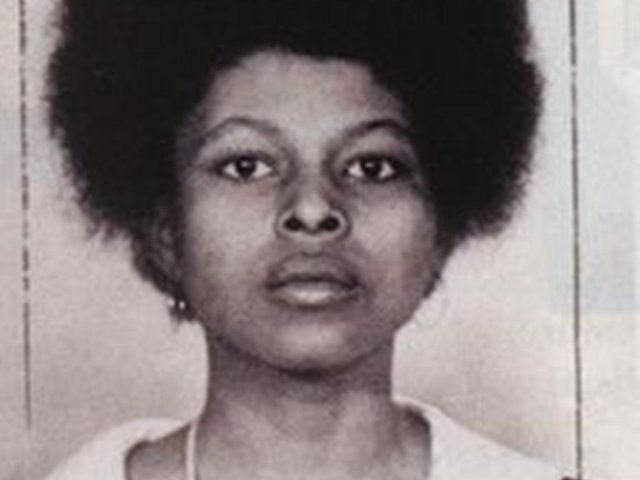 Assata Shakur. The BLA itself was responsible for at least 13 police murders in the 1970s. After her conviction, Shakur escaped prison when other Black Liberation Army members visiting her pulled a gun and took guards hostage. Shakur lived on the lam for several years, as her associates refused to cooperate with authorities, until fleeing to Cuba in 1984. Shakur has also been lionized by ’60s radicals like the Weather Underground’s Kathy Boudin, who Breitbart News reported had named her son Chesa after Shakur’s real name, JoAnne Chesimard. Again, these are not fringe players who idolize Assata but the women who founded the movement. Last year, Essence Editor-in-Chief Vanessa De Luca interviewed Black Lives Matter co-founders Patrisse Cullors and Opal Tometi, who described their respect for the convicted criminal communist. Cullors said that an Assata Shakur quote, which the group recites at all its events, is perfect to symbolize that the #BlackLivesMatter should matter to everyone, regardless of race. Starting in a whisper, and ending in a shout, the nearly 2,000 attendees spoke as one. Now it seems that people are doing their “duty” and killing cops. Here’s a rogue’s gallery of other convicted cop killers that are heroes to the movement. Is it surprising that a group like Black Lives Matter who idolizes cop killers would end up inspiring cop killers?